A healthy lifestyle can help reduce the likelihood that you will have some pregnancy health problems. Healthy eating in pregnancy can improve your health and wellbeing. It is also important for your baby’s growth and development. You might have sudden cravings for foods you do not usually eat. This is probably because of hormonal changes during pregnancy. It is OK to indulge every now and then, as long as your overall diet is healthy and balanced. Regular, gentle to moderate physical activity in pregnancy can improve your mood, fitness, and sleep, boost energy and ease back pain. Exercising your pelvic floor and abdominal muscles will help to prevent urinary problems like incontinence later in pregnancy and after birth. Do not smoke in pregnancy. Stay away from other people when they smoke so you do not breathe their second-hand smoke. Do not drink alcohol in pregnancy. Alcohol crosses the placenta and can lead to serious health problems in babies. Do not use recreational or illicit medicines or drugs. If you do use these, tell your doctor or midwife early in pregnancy and ask for help to quit. Check with your doctor or midwife that any medicines or drugs you are taking are safe for your baby. Your emotional health is just as important as your physical health. It is common for women to experience emotional changes during pregnancy. This is because of the big physical and practical changes that happen in pregnancy, but emotional changes that last longer than two weeks can be a sign of depression. If you are worried about becoming a parent or you are having problems in your relationship, including family violence, it is a good idea for you to talk about this at your antenatal appointments. The safest sleeping position during pregnancy is on your side because this position reduces the risk of stillbirth. This is especially important in the third trimester of pregnancy. To sleep comfortably on your side, try putting a pillow between your legs and behind your back. This can ease and prevent back pain. While sleeping on either side is good, it is a good idea to sleep on your left side when you can. Sleeping on your left side can increase the flow of blood and nutrients to your baby. 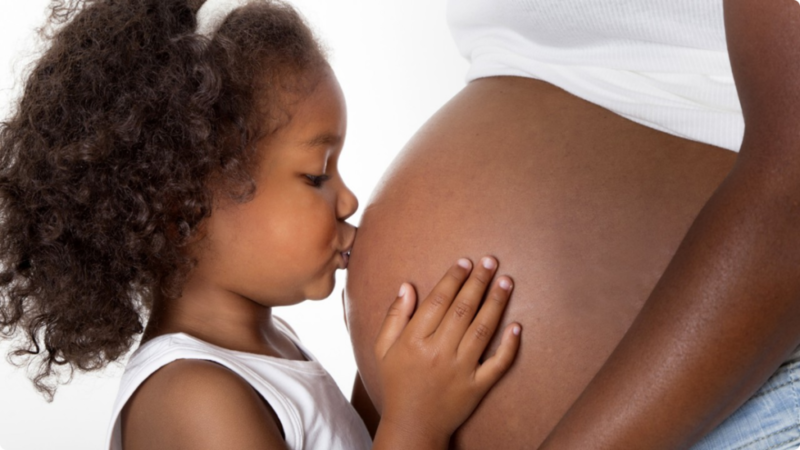 Looking after your teeth before and during pregnancy is important because tooth decay and gum disease can increase the risk of premature birth, low birth weight, and early childhood dental decay. Health professionals recommend that you get the influenza vaccine if you are pregnant. It can be given at any stage of pregnancy and helps to protect you and your baby. Wear a seatbelt in the car. The seat belt should be positioned with one strap above your bump and the other below your bump.